ISBN 0825603528. With guitar tablature. Folk. 9x12 inches. From learning how to hold the banjo to playing complete bluegrass songs, this easy-to-understand method will turn you into a 5-string banjo player no time. You'll learn how to read banjo tablature, all the basic banjo rolls, chords, authentic bluegrass techniques, banjo tuning and maintenance, and more! 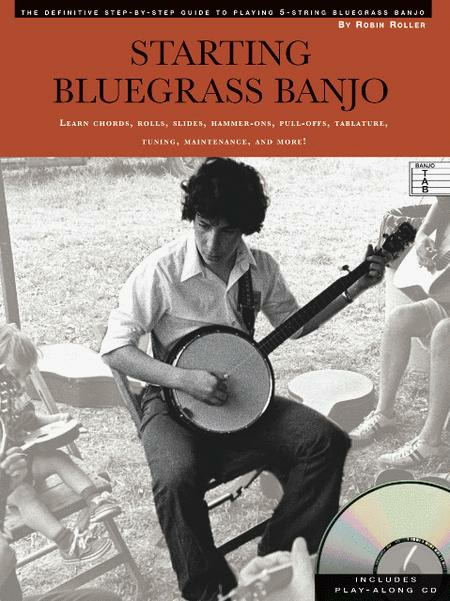 This book also has an audio CD with demonstration tracks of the essential bluegrass songs including: Cripple Creek ? John Hardy ? Nine Pound Hammer ? Red River Valley ? and others. With detailed photographs and simple instructions, this is the 5-string banjo method for getting results fast!